It’s hard to miss the fact that heart disease is the #1 cause of death in the US today. Historically, heart disease has been a plague on the male population, but now it is rising steadily in the female population as well. In fact, heart disease, which killed more than 700,000 Americans in 2001, accounted for 29% of all deaths in the United States, and cost the nation an estimated $335.5 billion! How could this happen when the cause of heart disease is known to be primarily founded in lifestyle and poor quality food choices? The answer to this question might best be discovered by studying the diets of people living in countries in which heart disease is relatively limited. Two studies show that heart disease is virtually non-existent in the absence of refined foods – denatured fats and high levels of refined carbohydrate consumption. Let’s take a look at each of these for a better awareness of the Healthy Heart Nutritional Essentials. One of the Healthy Heart Nutritional Essentials is a diet low in refined foods. The wholesome nutrients refined out of foods upon processing, particularly the loss of the B-complex nutrients (ie: B6, B12 and folic acid), are the cause of elevated homocysteine levels. Homocysteine levels are one of the most reliable indicators of heart disease risk. Therefore, eating whole foods and whole food concentrates high in these B complex factors is a Healthy Heart Nutritional Essential. For decades, we have been told to avoid dietary cholesterol and saturated fats, but clearly, healthy blood lipids are not solely based upon these reductions. There is too much evidence showing that traditional diets, including unprocessed natural fats, often in generous proportions, support remarkably low rates of heart disease. Newer research shows that certain types of damaged, denatured fats are associated with underlying causes of heart disease. The buildup of these types of fat in our bodies is harmful because they are unnatural —there are no enzymes to metabolize them, so they get trapped in our bodies. Denatured fats, stripped of vitamins and antioxidants, become oxidized (rancid) in our bodies, leading to inflammation of our vascular system as indicated by high levels of C-Reactive Protein (CRP), another consistent indicator of impending cardiovascular incidents. The truth is, heart disease is more the result of overconsumption of refined carbohydrates, bringing us to the real problem… high levels of sugar intake. Americans consume an average of 158 pounds of sweeteners plus over 100 pounds of refined carbohydrates each year, calories that contribute to obesity without providing valuable nutrients such as protein, healthy fats, vitamins, minerals, or nutritional cofactors! Since 1991, obesity is up 75%, costing our nation an additional $100 billion. A “die-it” is not the answer! We must learn to live a healthy lifestyle, choosing our foods and activities according to what will benefit our health, rather than propping ourselves up with sugar, stimulants, and drugs to deal with the side effects of an unhealthy lifestyle. Eat plenty of wholesome, fresh vegetables and fruit. Greater consumption of fruits and vegetables provides vitamin complexes, minerals, many diverse antioxidants and is shown to consistently lower risk of heart disease. Eat broiled, baked, or poached (not fried) fish three times per week—or more! 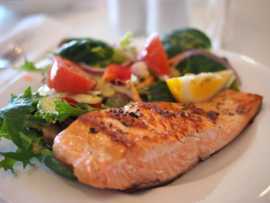 Fish provides healthy omega-3 fatty acids and B complex, and people who eat 1-2 servings of healthy fish each week have a lower risk of heart disease. Prepare meals using extra-virgin olive oil, real organic butter, and coconut oils which support heart health. Exercise regularly! Even as little as thirty minutes of brisk walking three times a week is enough to benefit your heart. Avoid sugar, refined foods, unhealthy and damaged fats—all of these “foods” contribute to nutritional deficiency, obesity, and toxicity and are associated with heart disease, diabetes, arthritis, and depression. Avoid toxins in your food, water, air, and environment. Purify your system at intervals—ask me when might be a good time for you! Support your heart with whole food concentrates from Standard Process. CardioPlus — Since 1956 Cardio-Plus has supported the heart’s healthy functions combining the benefits of heart PMG extract and naturally occurring Coenzyme Q10, Cataplex E2 which gets oxygen into muscle tissue, special Cataplex G factors for it’s vasodilatation qualities and Cataplex C for its powerful antioxidant qualities. It has been well established in scientific literature that these nutrients are important for healthy cardiovascular function.This whole food concentrate is unique in the healing arts and is a nutritional essential for people with high blood pressure who wish to support their heart. 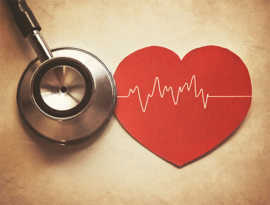 Vasculin — Introduced in 1958 to support support the heart and vascular tissues of those people with low blood pressure. Vasculin combines heart PMG, Coenzyme Q10 and Cataplex E and C, Vasculin also supports a healthy muscle contraction of the heart with Cataplex B and B6 factors for improved homosysteine levels. Folic Acid-B12 — Folic acid and vitamin B12, serve to improve homocysteine levels4 thereby reducing the likelihood of heart attack and strokes. By itself or taken along with Cataplex B these nutritional essentials enhance nerve conduction to the heart. Cyruta Plus — Introduced in 1950. Cyruta Plus carries several important factors vital in their ability to increase the strength of the blood vessels and regulate their permeability, decrease inflammation and help maintain the integrity of the capillary walls. All important to a healthy cardiovascular system. These statements have not been evaluated by the Food and Drug Administration. These products are not intended to diagnose, treat, cure or prevent any disease. They are to support your health.